Former Head of the Higher Education Authority (HEA) Tom Boland discusses how the rise of populism around the globe will affect higher education. Populism has recently burst into the mainstream of Western democracies. It is evident in the outcome of Britain’s EU referendum; the success of Donald Trump; in the popularity of the National Front (FN) in France and political developments in Austria, the Netherlands, Sweden, Greece and Hungary. So far, Ireland has not been noticeably infected. However, our party-political system is more fragmented than ever, indicating a high level of discontent with politics as we’ve known it. And even if Ireland never has its own native populism and its demagogue promoters, we will nevertheless not escape its influence. A question that remains is what are the implications for our universities, institutes and colleges and how should they respond to this growing global populism? Populism claims to speak for the “ordinary” people – the “forgotten” people. It distinguishes itself by its opposition to the “establishment”, in its distrust of facts and evidence and in its hostility to the “elites” that promote “establishment thinking” and “political correctness”. Michael Gove’s remark during the Brexit campaign captures it well: “I think the people in this country have had enough of experts.” And this from him, a former Secretary of State for Education. Populism also harbours tendencies towards ultra-nationalism and racism. When populists speak of “elites” you may be sure that they include universities and academic staff – over-educated, over-opinionated and overbearing, “liberal” in their views and remote from the concerns of “ordinary people”. Universities have long played a central role in the development of societies which promote sound humanitarian and democratic principles. Even before the recent rise of populism, there was evidence of a drift internationally towards greater government control of higher education institutions, driven in part by the role higher education now plays in successful economies. 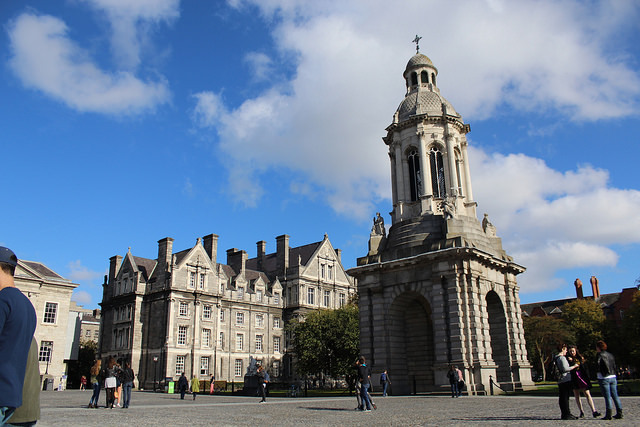 In Ireland, there is a balancing of institutional autonomy and public accountability that is core to the relationship between higher education institutions and the government system. This balance is one of the strengths of our system. It was strongly endorsed in the National Strategy for Higher Education. With populist policies and politicians gaining the upper hand in many countries and given their hostility to, and prejudices towards, higher education, the threat to that balance here and elsewhere has escalated. As a sector, and as a society, we need to be watchful for any dilution of this vital bulwark of our higher education system, and by extension our society, through creeping regulatory encroachment. But more than vigilance in defence of autonomy and academic freedom is required of our universities and colleges if populism is to be nothing more than a passing political fad of the 2010s. Higher education needs to engage proactively and energetically with the root causes of populism and with its propaganda. It is wrong, and counterproductive, to dismiss those who vote for populist parties as uneducated backwoodsmen, or as Hillary Clinton called them, “deplorables”. It is misguided for the academic community to collectively hold their noses and keep their distance from these people and believe they will eventually come to their senses and all will be as before. It won’t. These voters have concerns that are objectively real and they have concerns that are real to them. Yes, there is a disappearance of lower-skilled jobs, even if the root cause is not immigration. Yes, international trade agreements lead to losers as well as winners, but overall they are positive in their economic impact. Yes, many people who once believed that the lives of their children would be better than theirs now know that this is not going to happen. Yes, the rich have got richer, while many are trapped by low incomes or in social security programmes. Yes, our societies are becoming more cosmopolitan and their peoples more diverse, but this can enrich societies, and does not have to marginalise existing populations. Higher education should respond on several levels. It should challenge what is presented as fact, but which is often merely baseless opinion, through its scholarship and research. It should enhance programmes for equity of access to, and participation in, higher education. The universities and colleges need to communicate especially effectively in order to nip ignorance and prejudice in the bud. The institutions need to build more coalitions of support among their regional communities as well as nationally and strengthen them in the process. Taking a leaf from the populists’ book, higher education needs to harness the power of social media to make the arguments for the values it espouses and take those arguments into the streets and homes of those who feel marginalised and dispossessed. In times like these, we need knowledge and respect for it more than ever. We need the capacity for critical thought and analysis, and we need academics committed to questioning and testing received wisdom, putting forward new ideas and stating controversial and unpopular opinions, and we need government and the institutions to work constructively, mutually to support our democratic society. Populism contains a special threat to all of that. But “isms” that would destroy the values, rights and freedoms of Western democracy have been defeated before. Higher education must be at the forefront of the struggle.